The census found that irrigation potential created and utilised from groundwater schemes has increased while irrigation potential created and utilised from surface water schemes has declined. NEW DELHI: A Census report by the Ministry of Water Resources, River Development and Ganga Rejuvenation has said that groundwater still accounts for the lion’s share of 94.5 per cent of all the minor irrigation schemes in the country. It added that there is a need to decrease farmers’ dependency on groundwater to reduce the depletion of groundwater. The depletion of groundwater continues to be a cause of concern across the country and 89 per cent of groundwater extracted is used in the irrigation sector, making it the highest category user in the country. 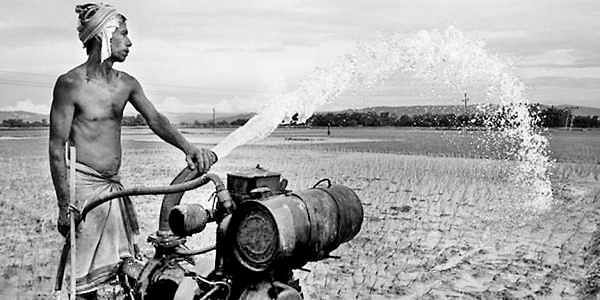 Minor irrigation schemes have around 60 per cent of share among all irrigation schemes for farmers. “This implies declining dependency of farmers on surface water schemes and increasing dependency on groundwater schemes for meeting their minor irrigation needs. So, in order to decrease the dependency of farmers on groundwater and to reduce the further depletion of groundwater, surface water sources need to be restored in order to continue to derive irrigation benefits from them,” the census report said. It highlights that groundwater minor irrigation schemes continue to remain under private ownership and most minor irrigation structures in India are owned by individual farmers or group of farmers and hence it has maximum outreach for irrigation. “Within this, small and marginal farmers (having less than 2 ha of land) still own a major share of minor irrigation schemes. This emphasizes the need for strengthening the network of structures for irrigation purposes in the country which, in turn, will play a crucial role in improving the livelihood of these farmers,” it said. Farmers’ own savings continue to be the major source of financing for installation of minor irrigation schemes, pointing out the need for more financial support to them by financial institutions.